Recently I’ve been using a few of my older Android smartphones for various projects where I’ll need to have the phones in a remote location or having the phones in a non-easily accessible location. 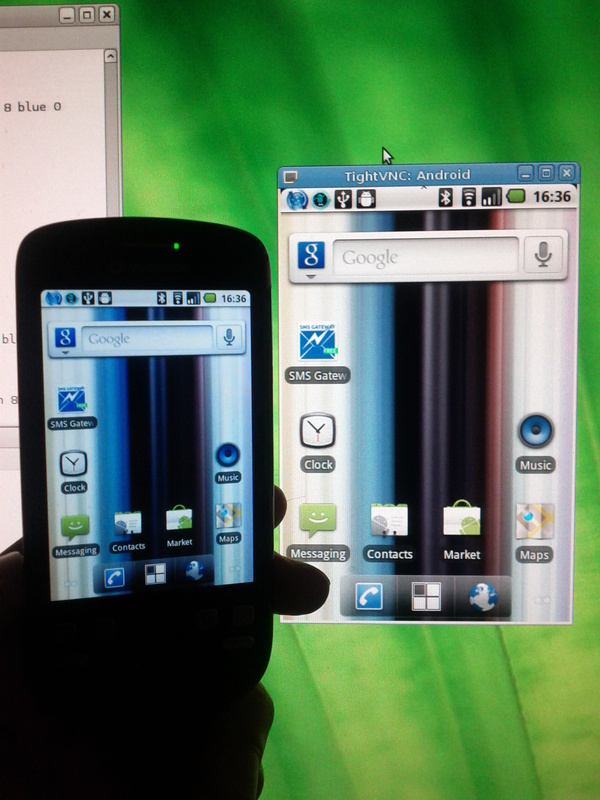 A conventional Linux system would be remote managed via SSH, but I need access to the graphical environment of the Android phones to run standard GUI touch applications. Generally I avoid VNC due to the fact it’s an unencrypted, insecure protocol, but in my case I was able to resolve the security concerns by tunnelling all my connections via a SSL VPN, which made VNC acceptable. 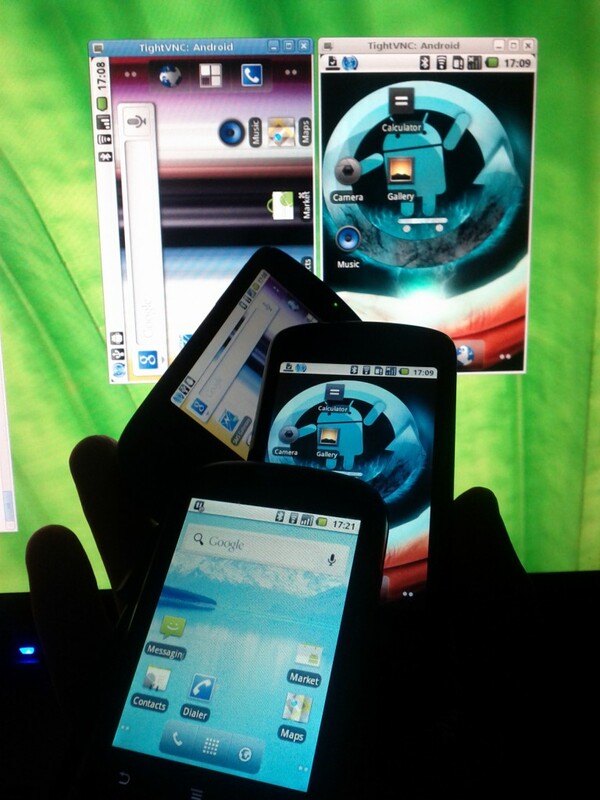 A few friends have asked me about VNC solutions for Android – in my case, I’ve been using a program helpfully named “VNC server” (click here for app store) on a mix of devices including older Android 2.2 devices running Cyanogenmod. The application requires the phone to be rooted. It doesn’t always reliably resume following a reboot of the phone. Android can end up terminating the application due to low memory available, particularly on the older phones. This isn’t a fault with the application specifically, but rather an architecture and design limitation of Android. If it happens, there’s not much you can do about it. 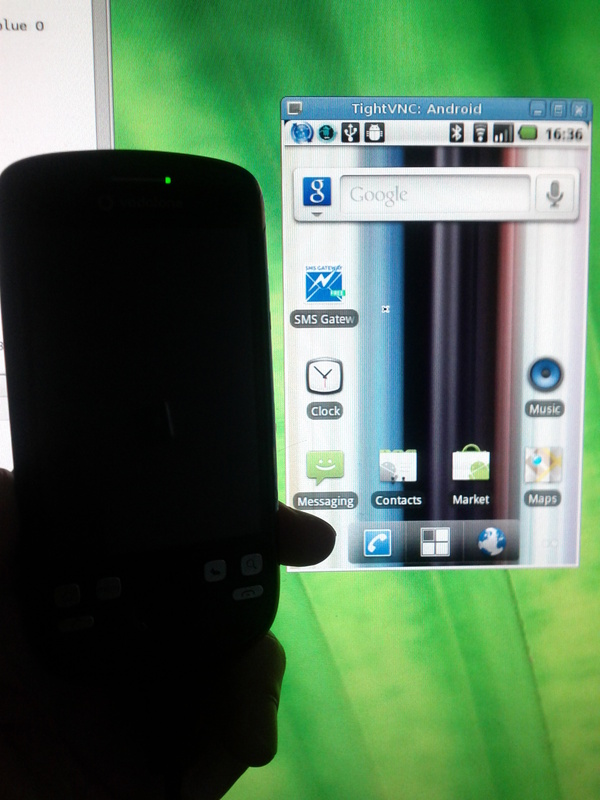 Note that there is one confusing quirk – when the phone screen locks, VNC displays the last thing that was on the screen. This can be confusing when you login and the phone doesn’t respond to any actions. Something isn’t quite right here…. The fix is to press the home key which makes the lock screen display and then to swipe in the usual manner by clicking and dragging the mouse. Sometimes the lock screen can take a while to render on VNC, so I tend to end up pressing home and then dragging before it even renders the lock screen. You will also want to disable screen rotation, otherwise if you leave the phone in a rotated state inadvertently, it makes for a very annoying user experience. So far I’ve found it pretty useful, but because of the way the Android OS handles memory, I would hesitate before relying on it 100% – there’s always the risk that my phone may have another process wanting to consume memory and it then suspending the VNC process to allocate more. I suspect there are some tweaks/hacks I could apply to the platform to make it more robust and there may be some stuff already in the app store that will help. Having said all this, it’s worth nothing that cheap cost and high feature set of Android phones makes them an idea hacking platform and I’m using them for a few projects already such as cheap GSM SMS gateways, as well as considering using the older phones as wireless IP cameras. This entry was posted in Uncategorized and tagged android, cyanogenmod, geek, vnc. Bookmark the permalink.